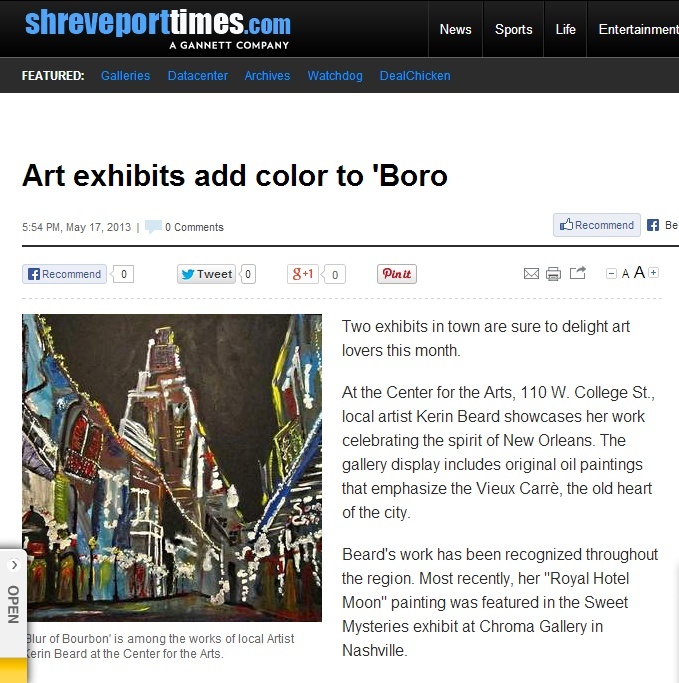 Beard’s work has been recognized throughout the region. 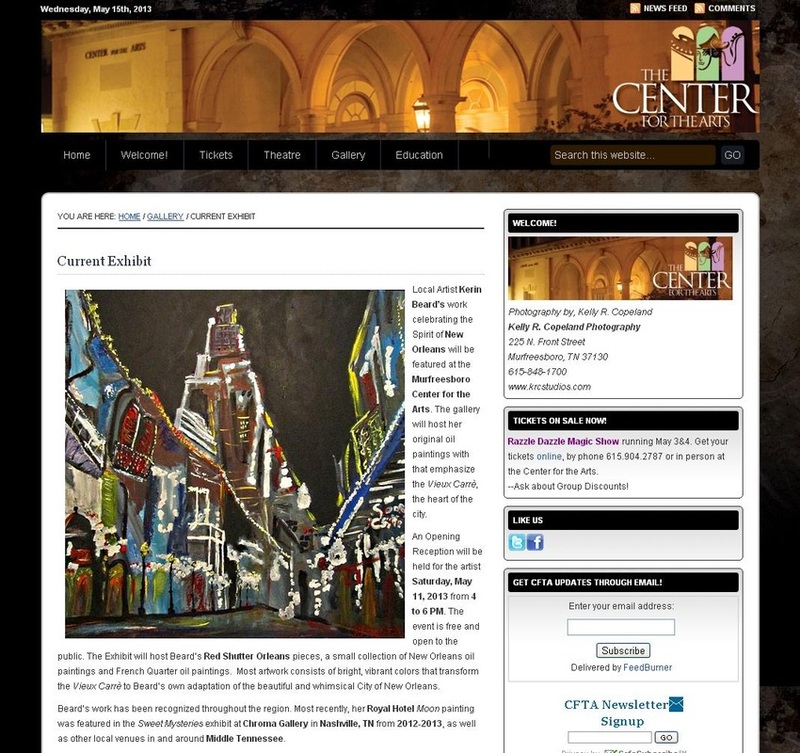 Recently, one of Beard's pieces and reproductions were purchased by the JW Marriot Hotel in the French Quarter. 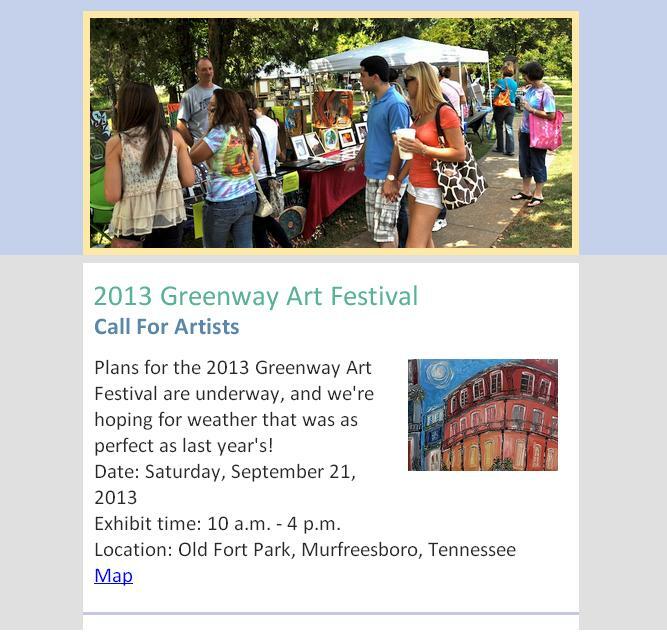 Kerin Beard was also listed as a featured artist in the Middle Tennessee Arts online magazine, was displayed in a solo exhibit at The Center for the Arts in the Boro, and her paintings have been featured at Chroma Gallery in downtown Nashville over the last four years. 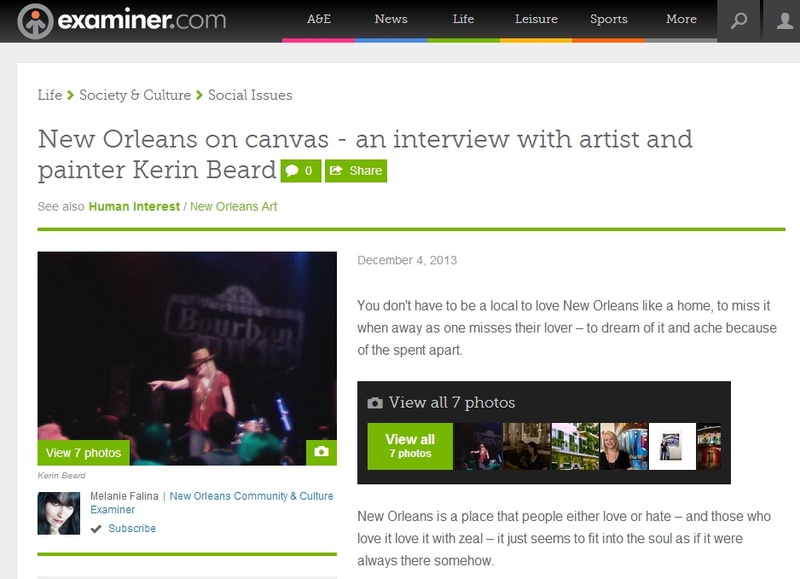 Beard's work has also popped up at local venues in and around Middle Tennessee and in the French Quarter New Orleans, LA. 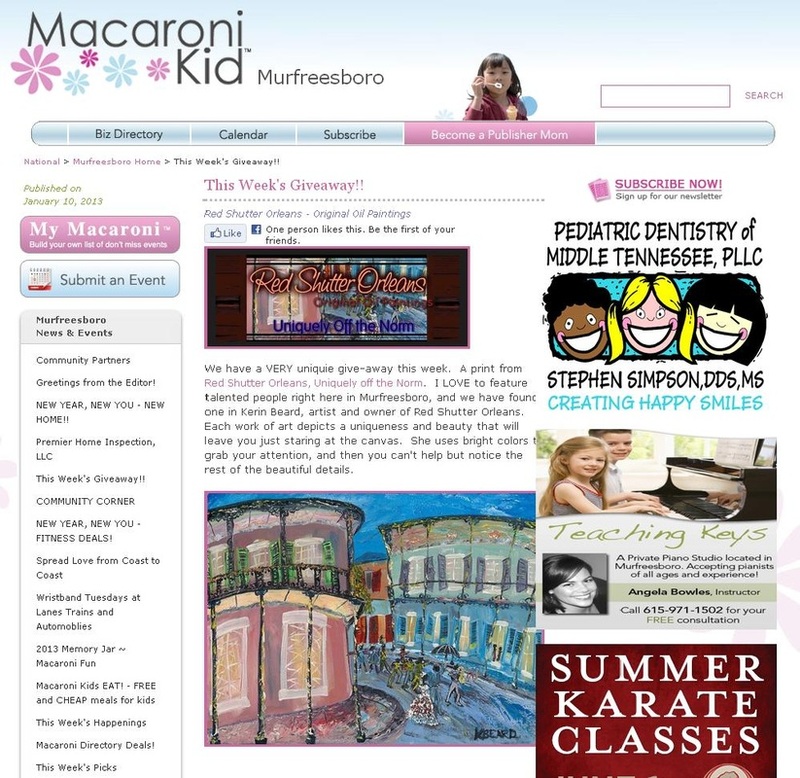 Kerin resides in Murfreesboro TN, just south of Nashville with her husband, Josh Beard, and 7 year old son, Nolan. Nolan and his neighborhood friends commonly aide in the creation of many pieces that Beard has produced. 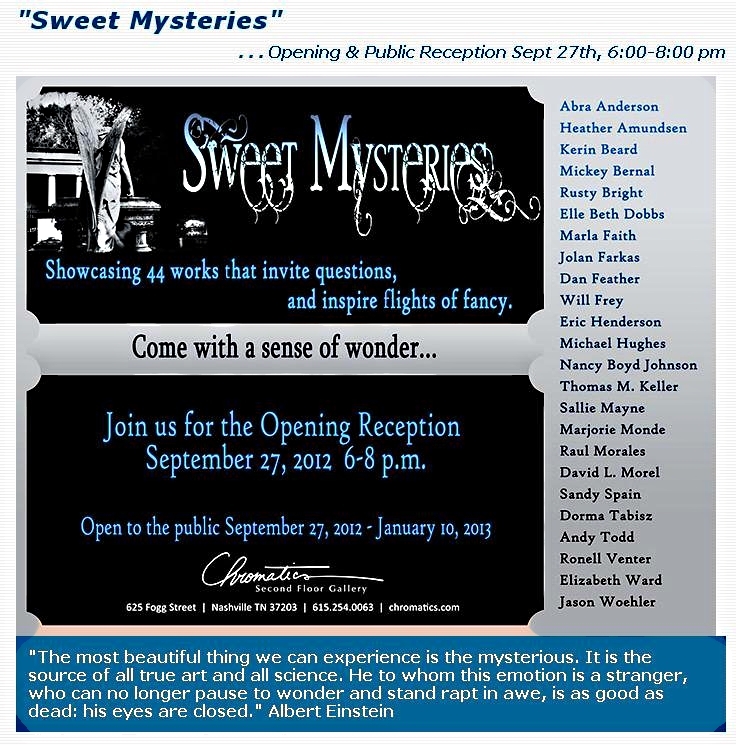 "Children are our best asset in the art community. There is no pressure for them to perform or anxiety about 'what people will like or think'. I use large paintings as a bit of a teaching tool, letting them splatter paint wherever their imagination takes them. I love to watch them paint!" 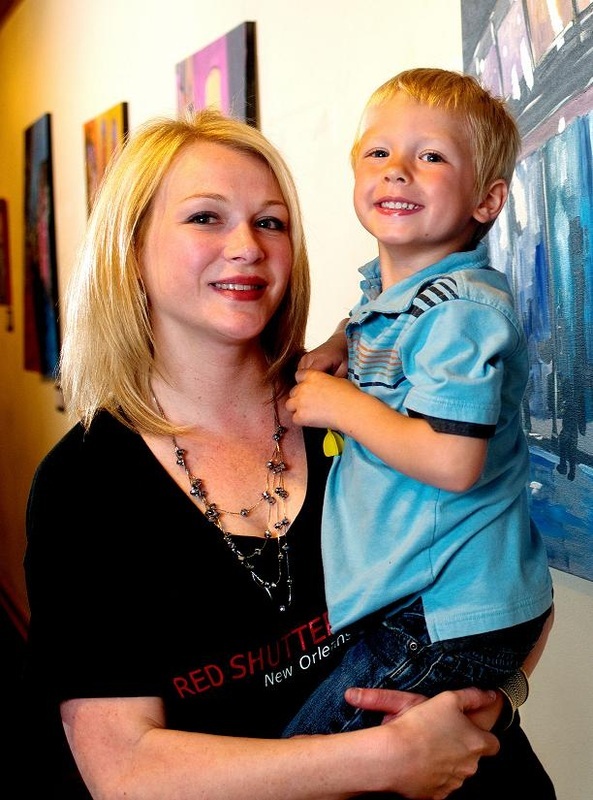 About Red Shutter Orleans: Red Shutter Orleans was founded in August of 2012 by Kerin Beard for a love of all things New Orleans. 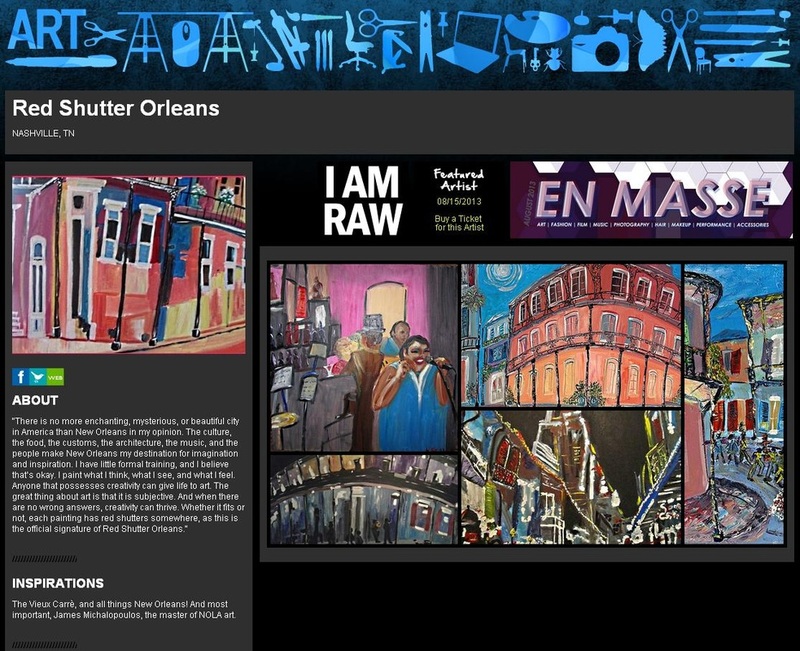 For more information on Kerin Beard or purchasing art, please email redshutterorleans@gmail.com. 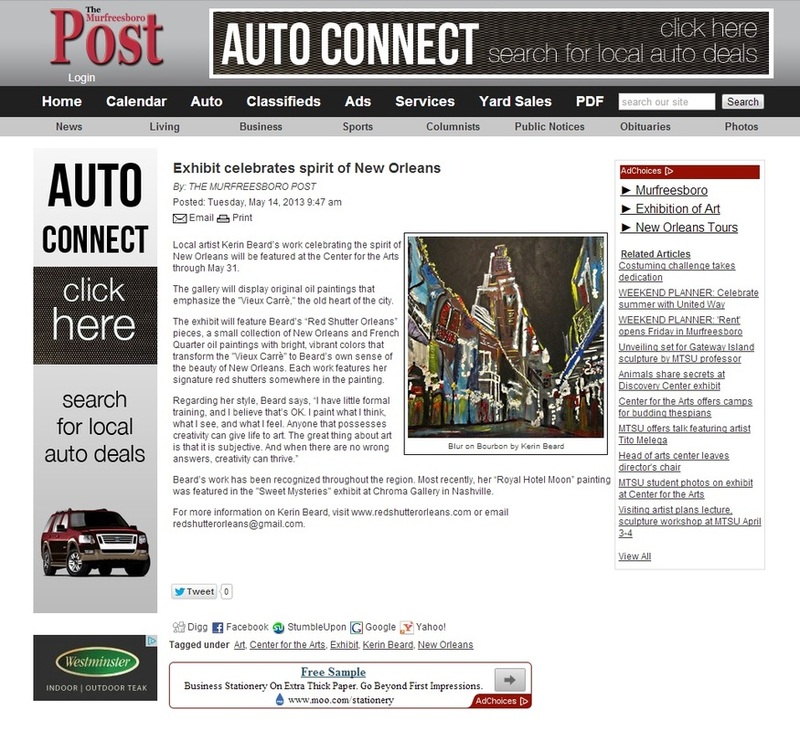 "There is no more enchanting, mysterious, or beautiful city in America than New Orleans in my opinion. The culture, the food, the customs, the architecture, the music, the history, and the people make New Orleans my destination for imagination and inspiration. I have little formal training, and I believe that’s okay. I paint what I think, what I see, and what I feel. Anyone that possesses creativity can give life to art. The great thing about art is that it is subjective. And when there are no wrong answers, creativity can thrive. 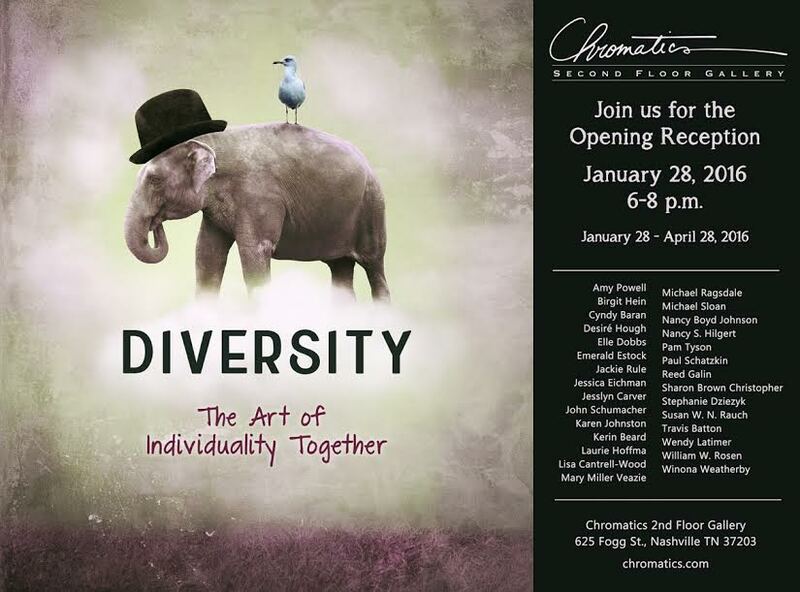 1/2016-04/2016 Chroma Gallery Diversity Exhibit. 1/2015 Olympia Brass Band "Serious" piece and reproductions sold to JW Marriott Hotel, New Orleans. 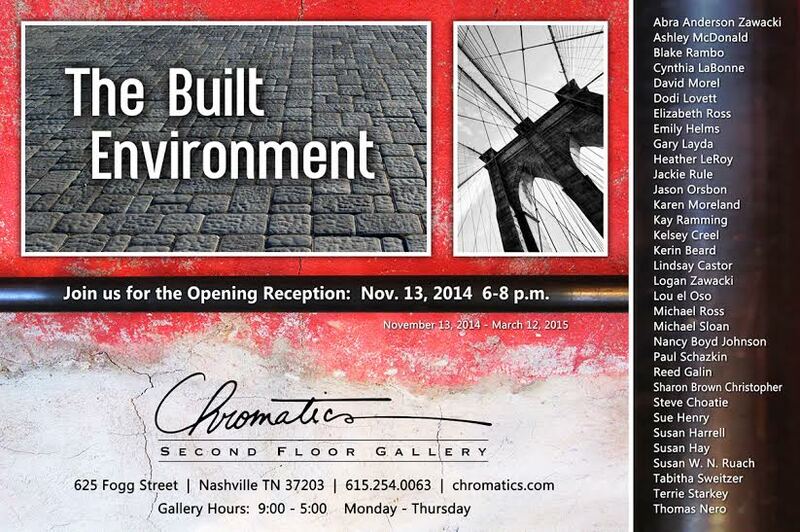 11/2014- 03/2015 Chroma Gallery The Built Environment Exhibit. 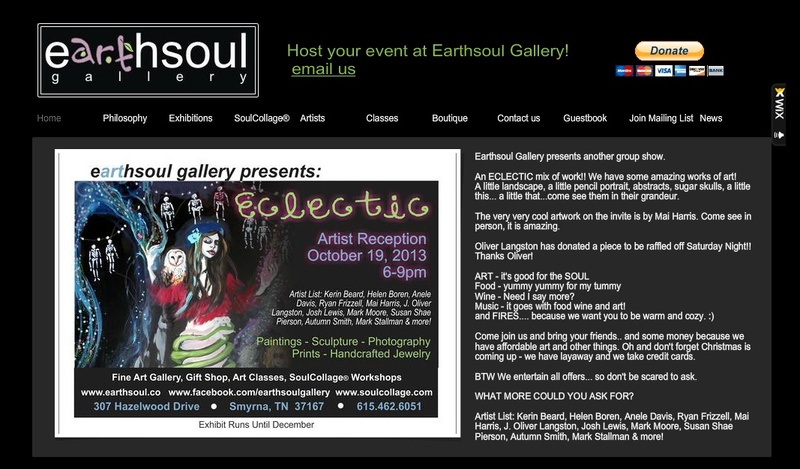 10/2013 EarthSoul Gallery, Smyrna TN. 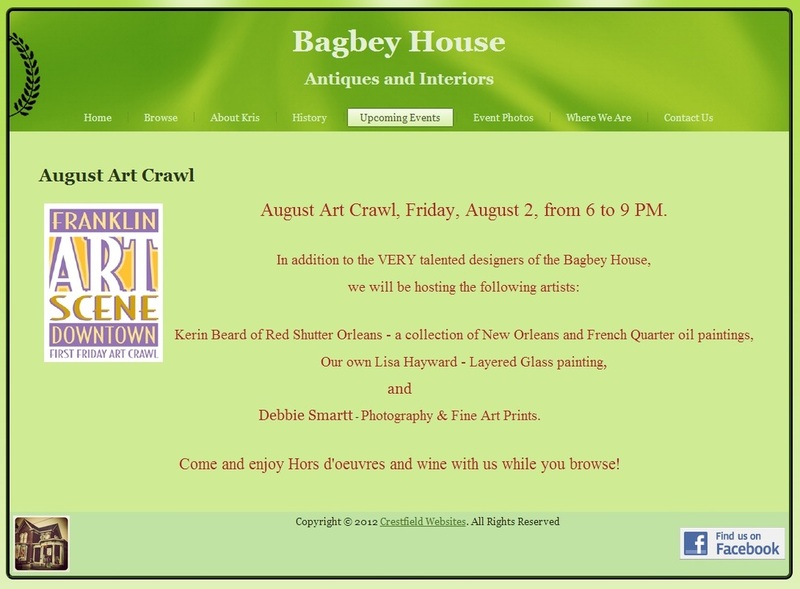 Eclectic Exhibit. 5/2013 RSO on Deviant Art!